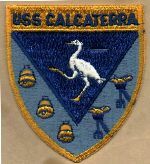 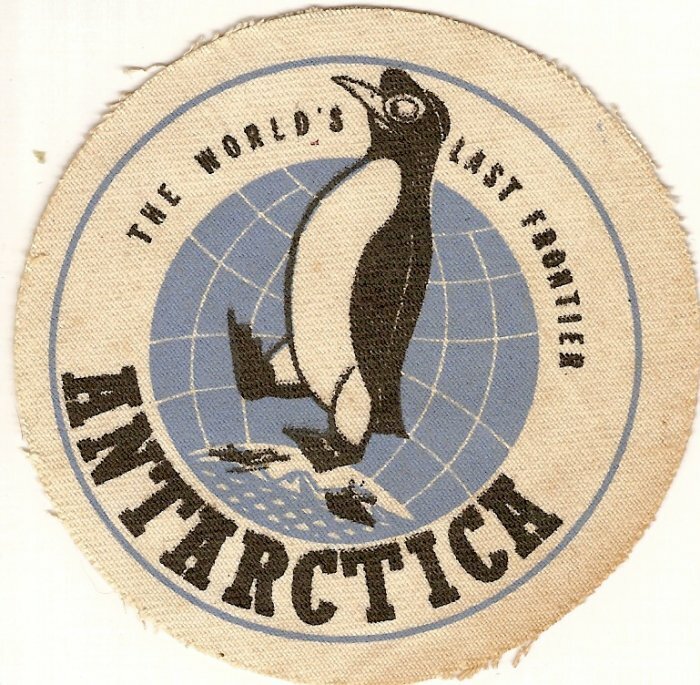 L-R USS Calcaterra patch of unknown vintage or meaning. 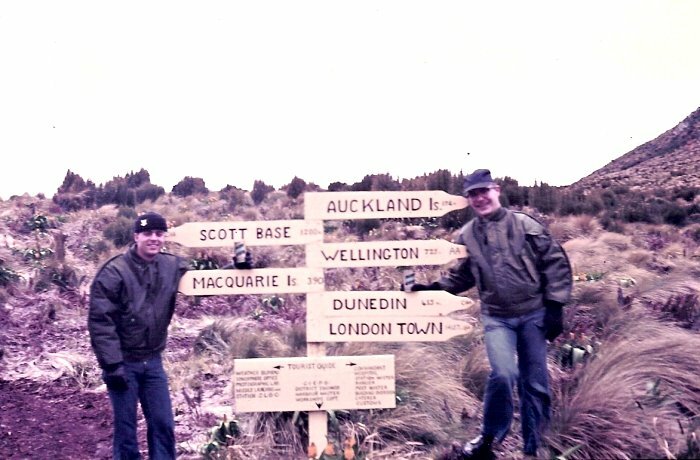 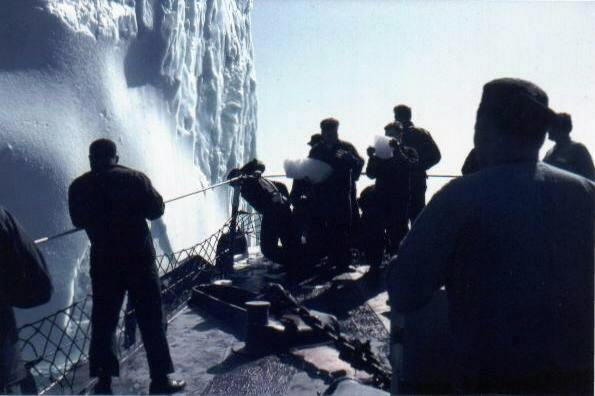 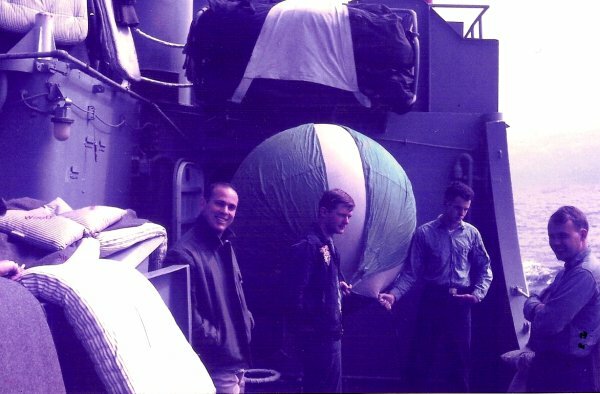 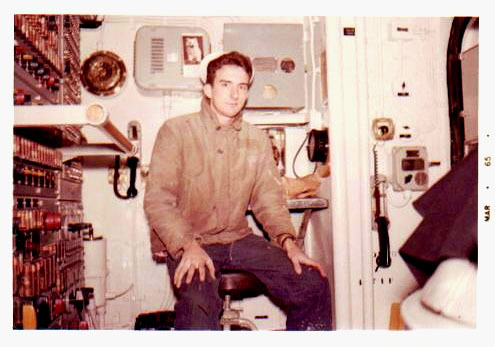 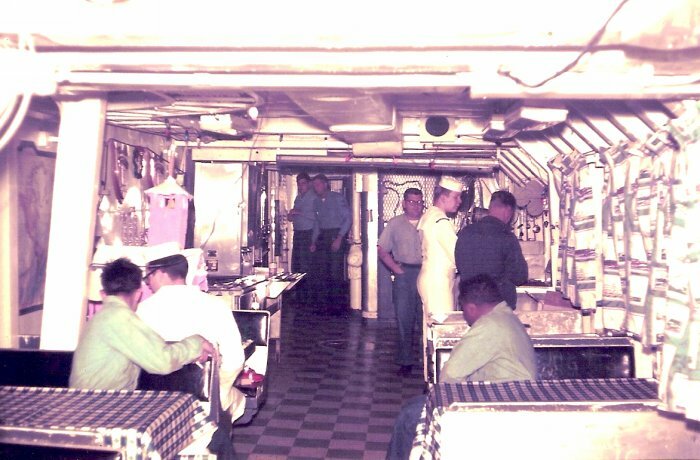 USS Calcaterra sailing Otago Harbor, Dunedin, New Zealand, Deep Freeze 1965-66, Joe Thorne in the Calcaterra's IC Room. 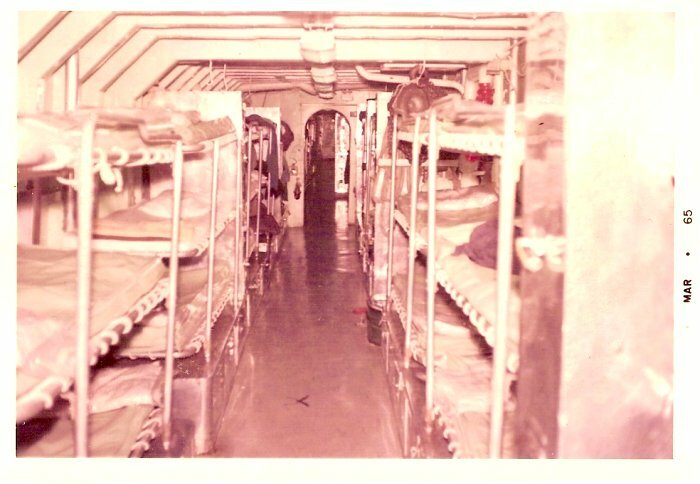 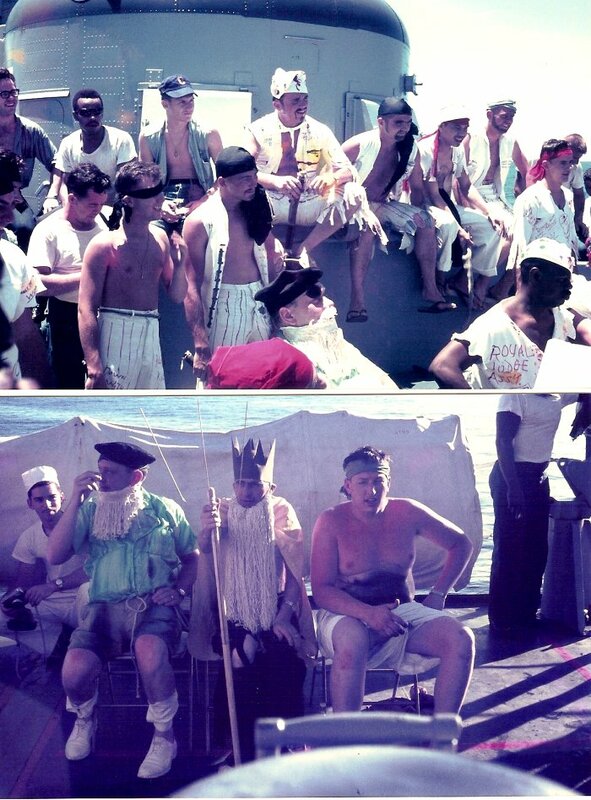 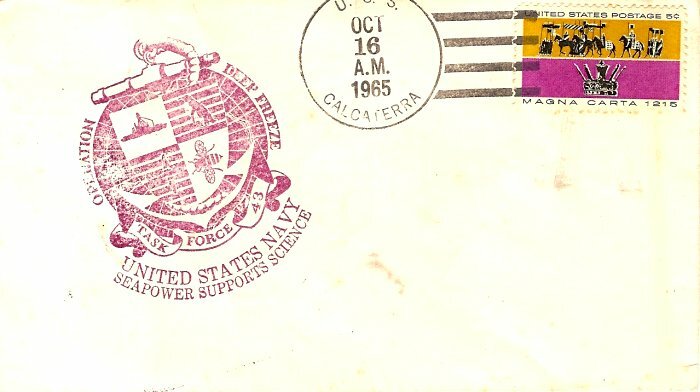 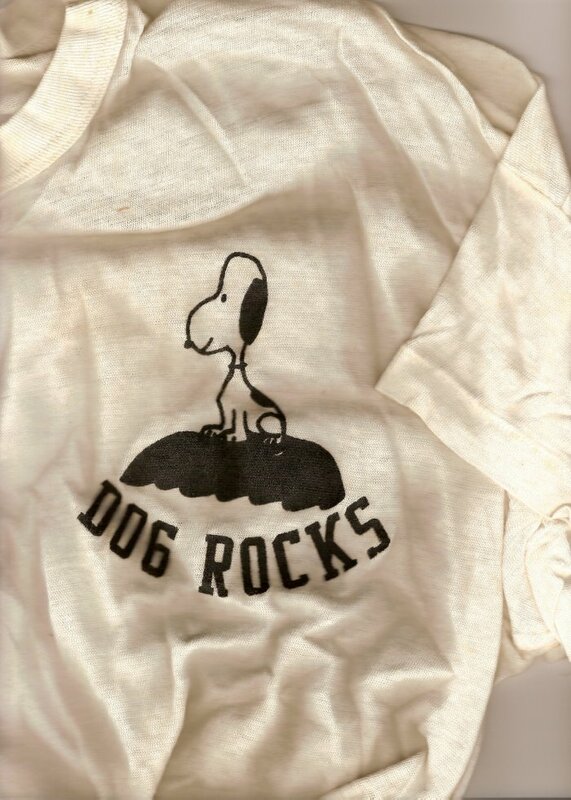 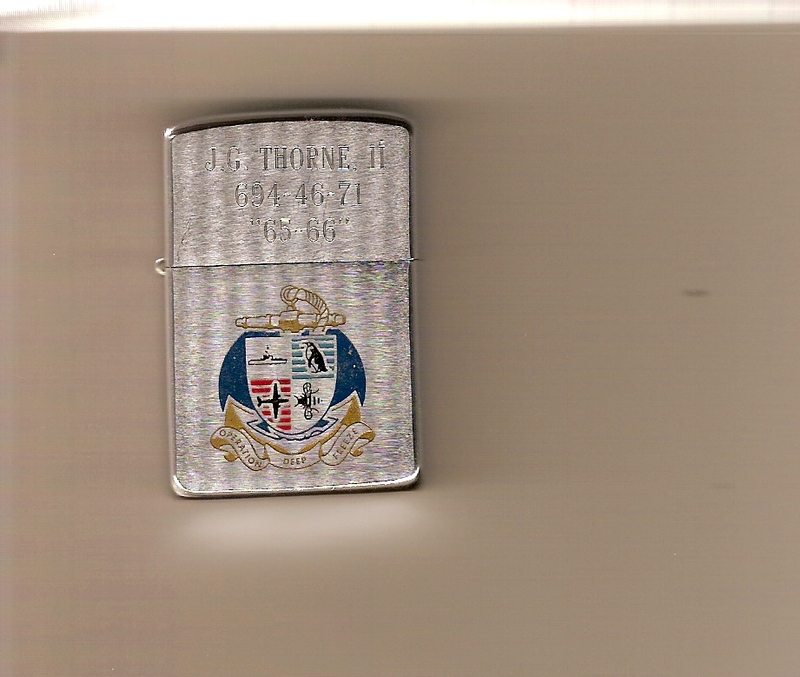 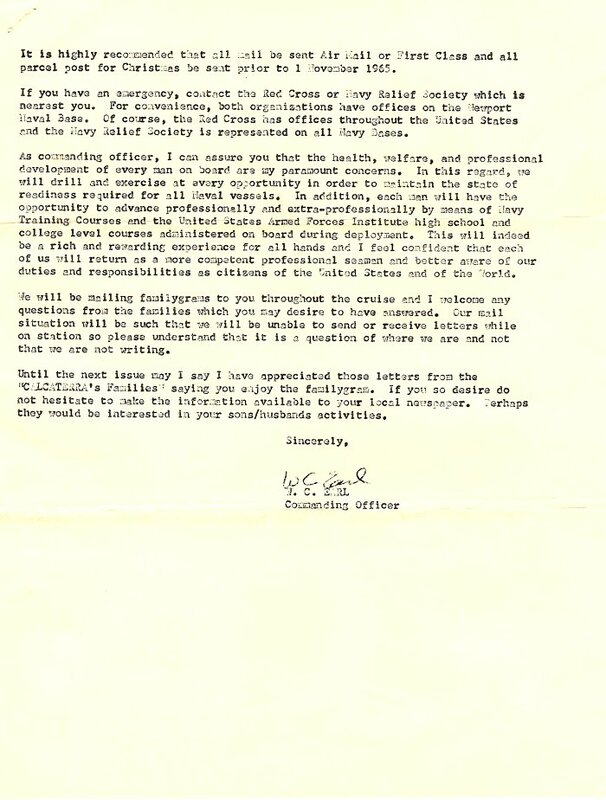 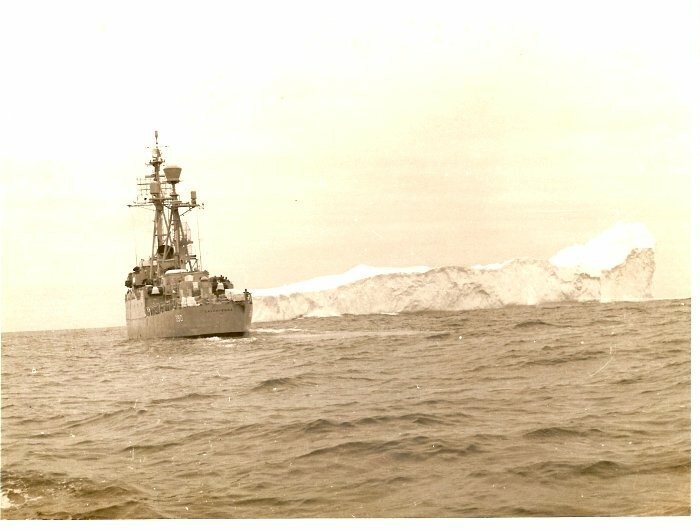 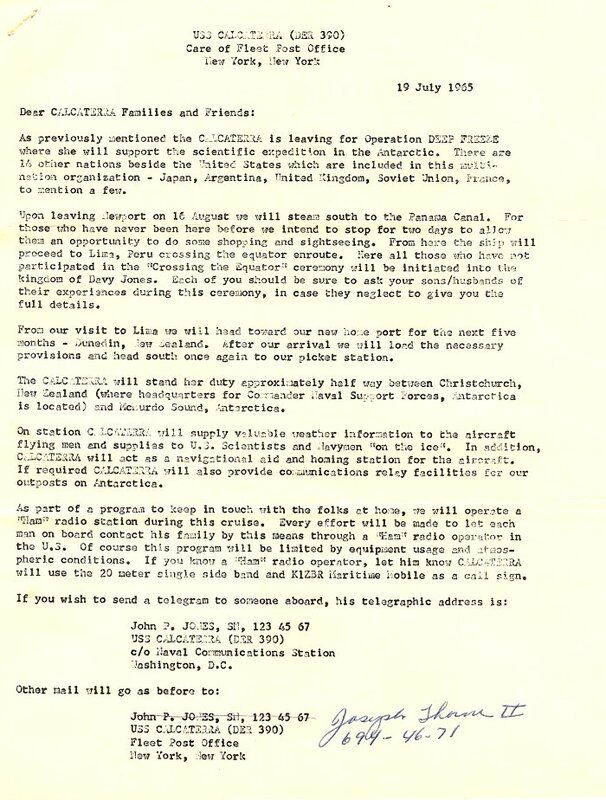 The above items were sent in by Joe Thorne, who served on USS Calcaterra on Deep Freeze 65-66. 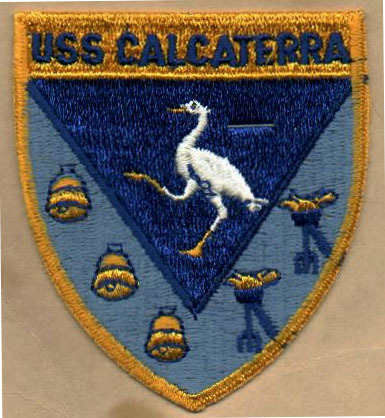 Left - Right Calcaterra patch of unknown significance. 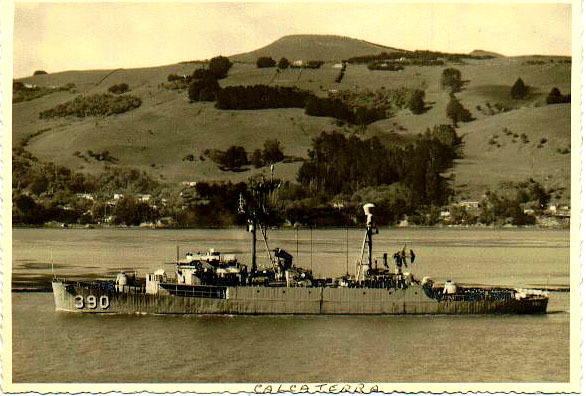 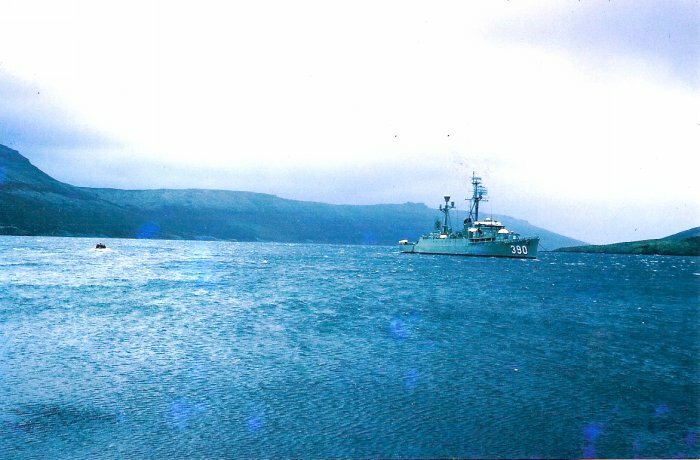 Photo of Calcaterra in Otago Harbor, and Joe Thorne in the Calcaterra's IC Room, March 1965. 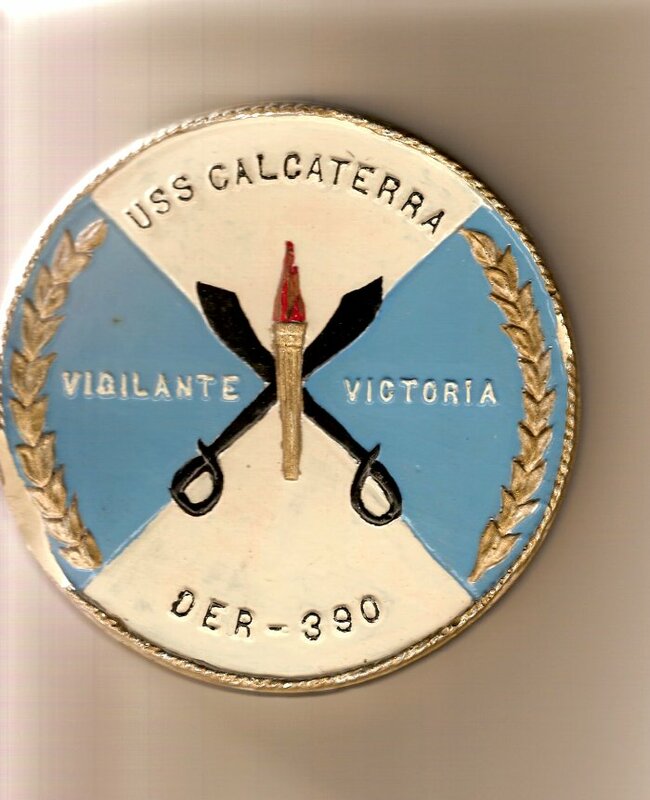 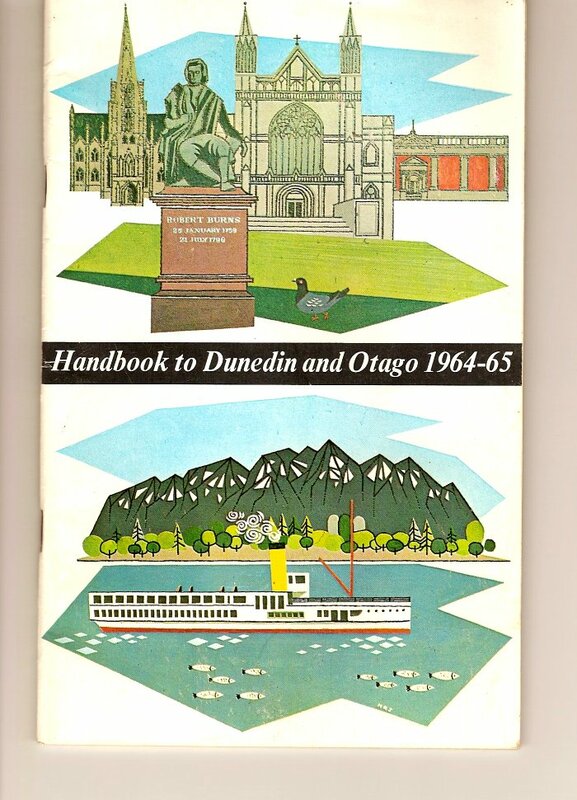 Click on image for larger view.